Opal has a creative new line of sock yarns. 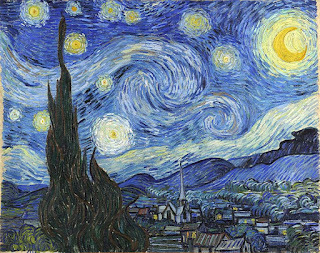 The colors are taken from paintings by Vincent van Gogh. I decided to get the Starry Night colorway. Opal sock yarn is one of my favorites (Regia is another). The colors are great, the quality is excellent, the balls have generous yardage and I find that the socks are long wearing. Someday, when I've made a dent in my stash of sock yarns, I may get some of the others van Gogh shades. 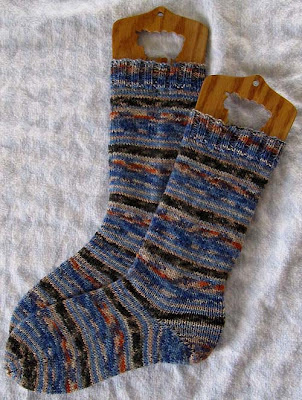 This is pair #5 in my attempt to finish a minimum of 12 pairs of socks in 2012. What an appropriate name for that yarn, a perfect interpretation from what I can see.